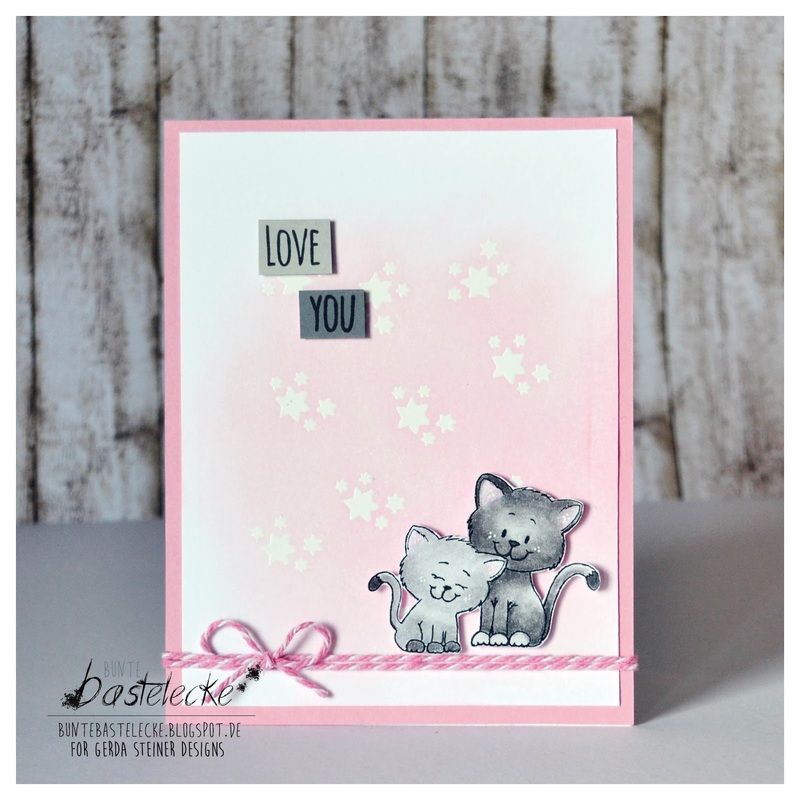 It's Wiebke here and today I want to show you a card featuring the adorable Digital stamp Kitten in Love. 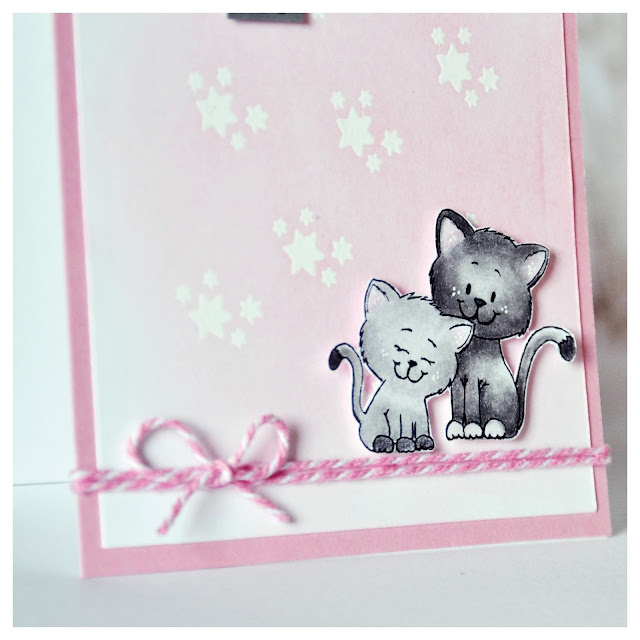 I used the kitten already on previous cards, but I think they're SO cute for several occasions, especially for some lovely love cards! Thank you so much for stopping by! I hope to see you again soon!